If your 'middle school' aged child loves animals and adventure stories, might I suggest getting hold of a book called Cats Undercover by Ged Gillmore. Cats Undercover is the second book by Ged Gillmore, who originally wrote Cats On The Run to cheer up a friend who was fond of the real-life cats. Cats Undercover, and the aforementioned Cats On The Run, are stories with a difference. The main heroes of each story are felines, who live their lives as if they were human. The story follows Tuck, Ginger and Minnie, who are three cats who live on a farm. One day two of the cats go missing under mysterious circumstances, and Tuck sets out to find them. Along the way, Tuck and his missing friends come face to face with sewer rats, skateboarding skunk punks and not-so-nice humans. The engaging story is filled with cat caper galore, jovial feline fables including an audition for Kitten's Got Talent, and plenty more hair-ball worthy surprises along the way. 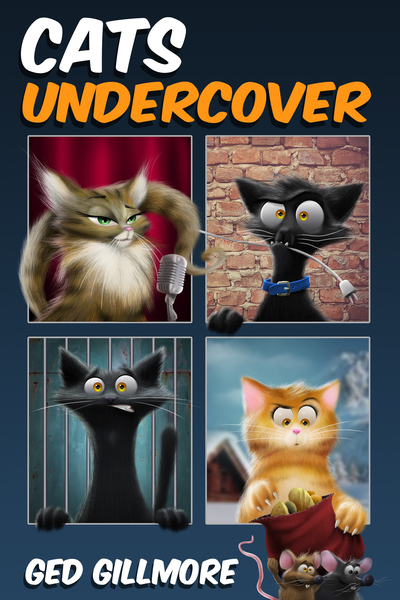 Cats Undercover by Ged Gillmore is the purr-fect book for children age 8 - 12 years, although it's much more fun to read the story with your children, because you will enjoy the book just as much as your kids. Cats Undercover has reached the #1 spot in the Amazon book list for two cat-egories! Both the Children’s Humour and Children’s Spy books list.